Mint and Perilla: Ito En's Chiran Yutaka Midori Shincha "Artisanal"
"This Artisanal grade YUTAKA MIDORI varietal is grown in the CHIRAN region of Kagoshima Prefecture. The warmer climate of the southern most island lends a more flavorful and vegetal quality to the teas grown here. This CHIRAN YUTAKA MIDORI SHINCHA is no exception. 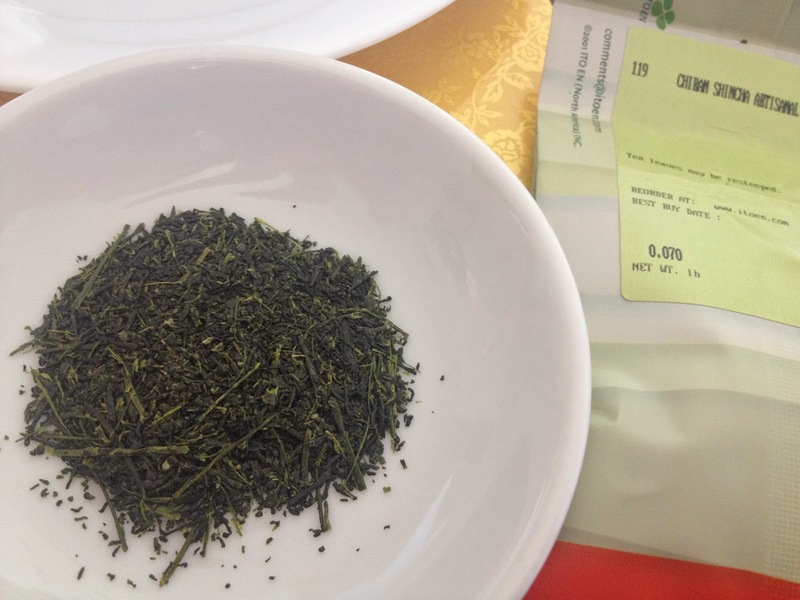 The intoxicating aroma and vibrant green color is accompanied by a buttery sweetness that in the world of tea is as rare and exceptional as this Artisanal grade tea." 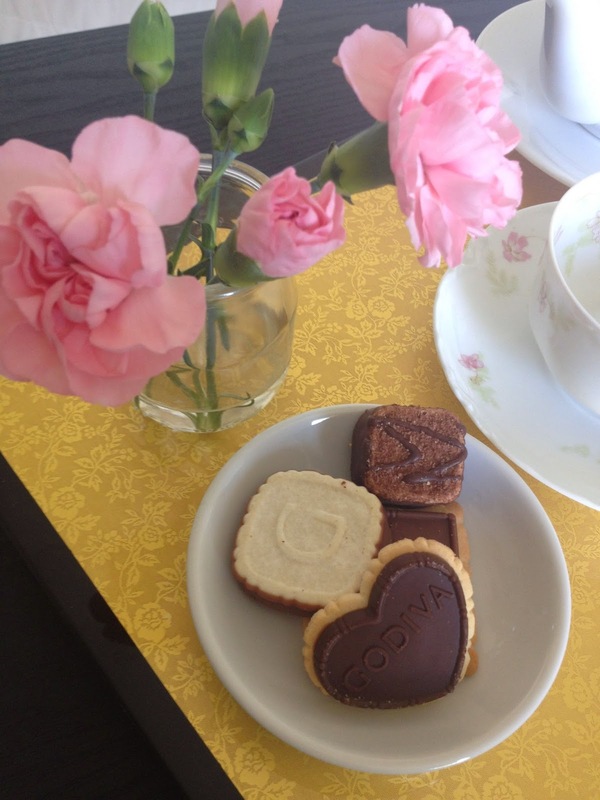 I set up a pretty tea tray and pulled out the Godiva biscuits. 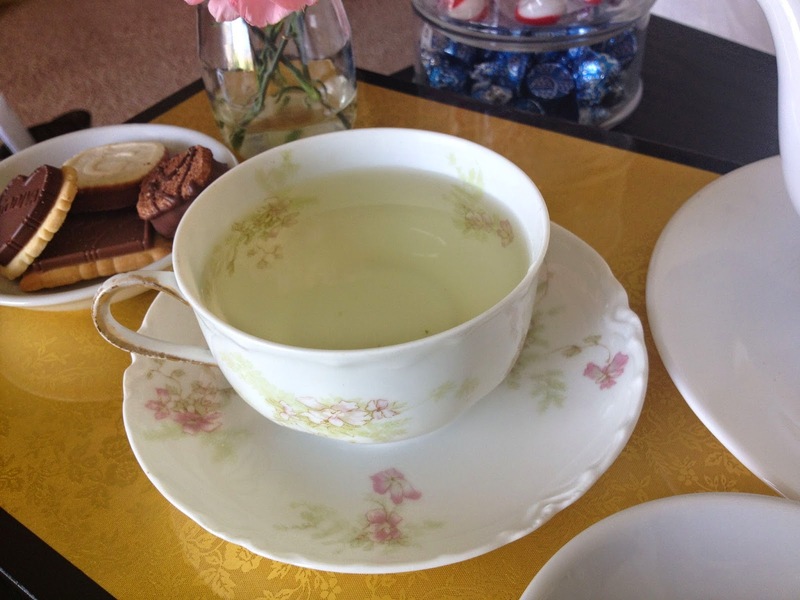 I even set my water boiler to a lower than normal temperature (175° F instead of my usual 195° ...I set it to 195° because I am lazy...it is a perfectly good setting for every day green tea, oolong and even black tea). It took a long time for my Zojirushi to get to 175° but it was worth the wait. This tea was absolutely fantastic! It had a sweet finish, a pretty pale green color and pleasant aroma. 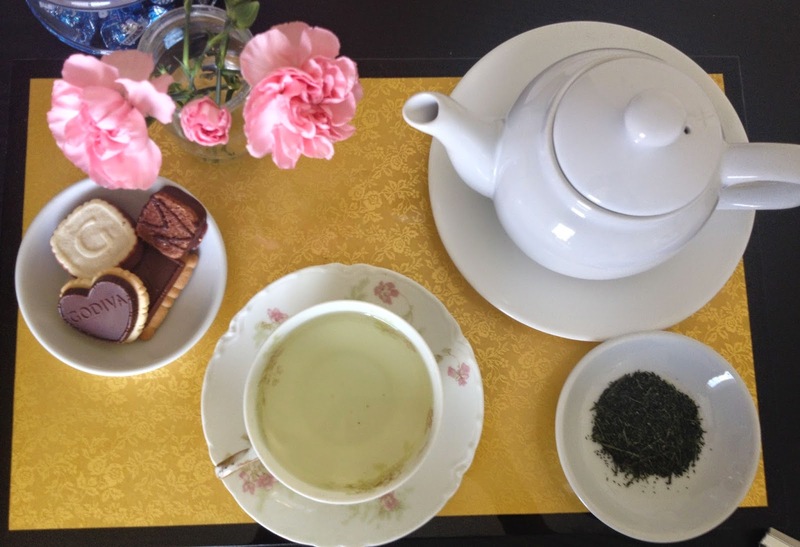 Ito En's green teas really are the best. The leaves are steamed so they remain bright green. Since they are so fresh they have a short shelf life. I highly recommend purchasing some while it is available.